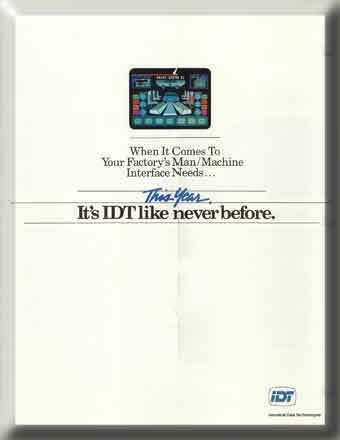 In 1976, the founders of a Columbus, Ohio company called IDT (Industrial Data Terminals) sought to change the way factory machinery was operated and monitored. Their concept, which involved graphic interface terminals was developed around a simple idea: show it with pictures. Up until that time, factory machinery was operated by hardwired relay and push button systems. 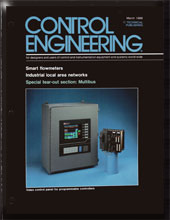 In the 1970's, a type of computer know as the PLC (Programmable Logic Controller) was beginning to replace the relay based systems but there still was no way to access the information that they contained. IDT terminals took the technology another step by displaying the information on a video screen. Overtime, IDT became an industry leading manufacturer of electronic operator interface systems for various industries. IDT operated under several different names as its business matured and changed in response to market conditions. 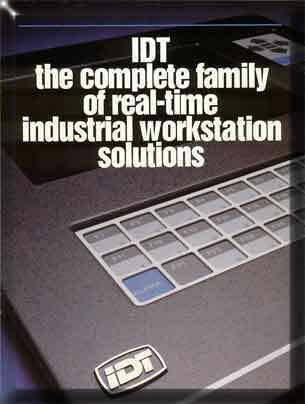 When IDT was purchased by the Eaton Corporation in 1989 the name changed to reflect the new affiliation. The company is recognized as one of the true leaders in the Operator Interface marketplace. Following are only a few of the many magazine covers that IDT products appeared on over the years. The original name ending in Terminal (Industrial Data Terminals) made a lot of sense in the late 1970's through the early 1980's. These early Intelligent Terminal based systems were real pioneers in the industrial color graphic marketplace. 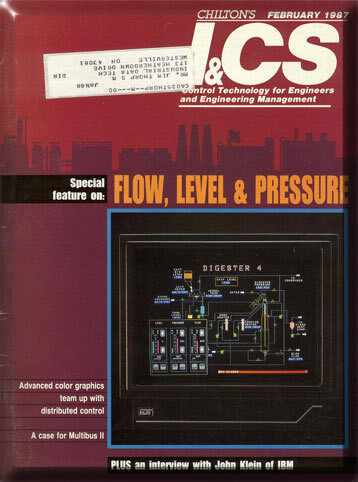 These systems were used extensively in Nuclear Generating plants, automotive manufacturing applications, and steel manufacturing operations interfaced to host computers which were generating graphics by sending "escape sequences" to our systems. From the very beginning, Industrial Data terminals experienced high demand for its products and was growing at a compound rate of over 50% per year. 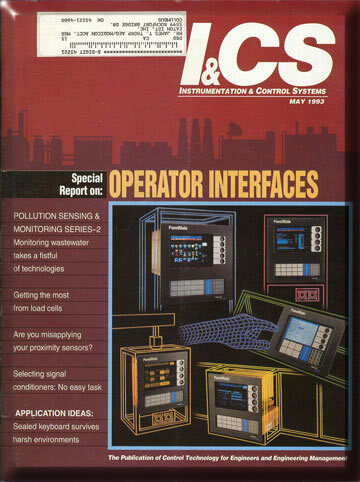 In 1984, the name was changed from Industrial Data Terminals to Industrial Data Technologies to reflect the changes that were taking place in the company's product offering. No longer providing just intelligent terminals, the company was embracing the emerging PLC operator interface market and providing advanced editors for their products that made them much easier to integrate than its competitors. Industrial Data Technologies was very interested in growing and hired many talented people with advanced degrees from much larger companies. With this pool of talent, the company continued its record of 50% annual growth. In 1986, business was booming. Studies showed that Industrial Data Technologies was not only number one in the marketplace, it was also the fastest growing company and had the highest quality. The company wanted an easier to remember name and since "IDT" was on all of the products and our customers all referred to our equipment as the "IDT" system it seemed like a natural step to make it official and adopt IDT as the company name. 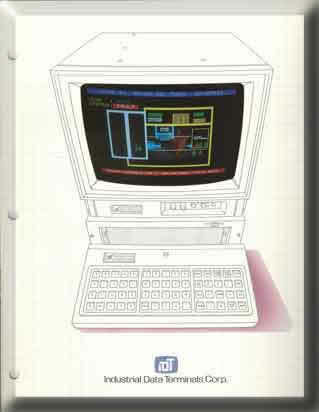 In 1989, Eaton Corporation purchased IDT. Eaton recognized that IDT was the leader in its marketplace and would enhance the automation content of its business. The employees of IDT were thrilled due to the additional resources that Eaton would bring to their company. 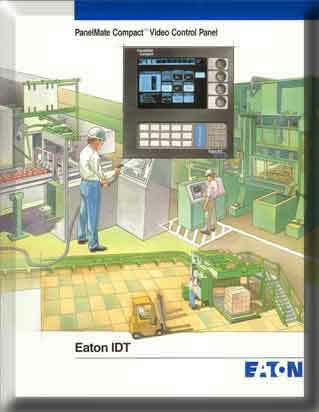 The name of the company was changed to Eaton IDT. The company developed a comprehensive program with Modicon to have them market private label (Modicon labeled) systems world wide. This program was a tremendous success for both companies and resulted in the sale of more than $100,000,000 in operator interface equipment for the two companies. 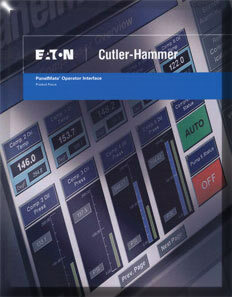 In 1994, Eaton made Eaton IDT part of their growing Cutler-Hammer electrical and automation business. The name of the company was changed to Cutler-Hammer IDT. 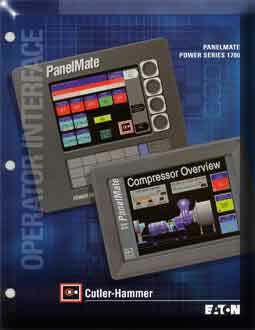 Cutler-Hammer IDT started the development of equipment designed to work closely with other Cutler-Hammer systems. Cutler-Hammer IDT continued its long track record of sales growth, market share gain, and customer satisfaction. 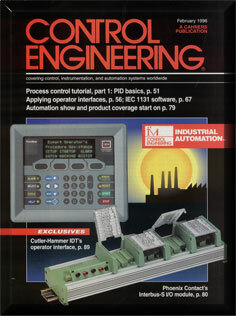 In 1997, Cutler-Hammer decided to consolidate their automation business at Cutler-Hammer IDT's location and name the group Cutler-Hammer Automation. This brought the PLC, PC based control, Operator Interface, and other smart products together under one management team to develop synergy from the different products and provide better integrated solutions for its customers. 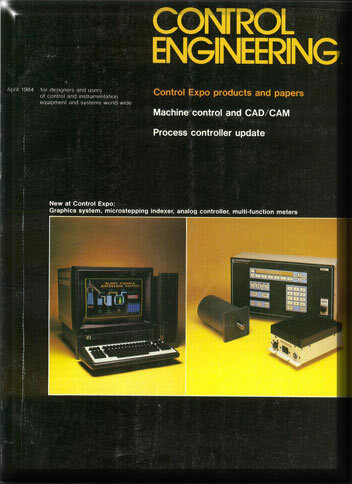 Celebrating its 30th Anniversary in 2006 - the evolution of the Eaton Operator Interface business continues. To address the growing demand for ethernet communications and SCADA (Supervisory Control and Data Acquisition) functionality, the Eaton Operator Interface Business Team develops new hybrid operator interface systems that combine the Microsoft Windows XP embedded operating system and diskless solid state storage to provide the most advanced and capable operator interface systems available in the marketplace. 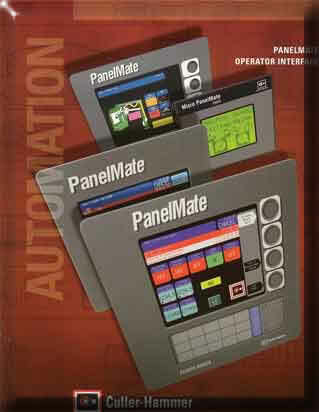 With some of the best and most experienced engineers, marketing, sales, and management personnel in the operator interface marketplace the Eaton Operator Interface Business Unit continues its long tradition of providing industry leading operator interface products designed to provide outstanding solutions for its customers.